Scott A. Wissel is an experienced trial attorney, representing and counseling clients in a diverse range of civil disputes including real estate and construction litigation, consumer banking litigation, loan enforcement and workout matters, anti-competition and anti-piracy covenants, and contract disputes of all kinds. 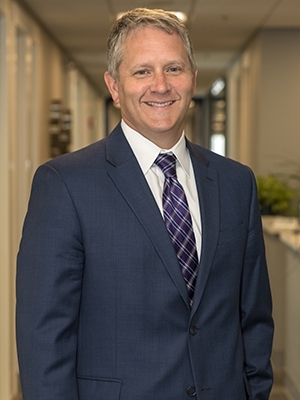 He also serves as General Counsel for the Kansas City office of Lewis Rice, and regularly advises the firm and its attorneys on matters of legal ethics, professional responsibility, and risk management. In his construction practice, Scott has experience representing national and regional homebuilders with construction defect claims, breach of contract/warranty claims, lien claims, and disputes and negotiations with local governments and codes administrators. In addition, he represents builders, contractors, and owners in commercial and residential construction disputes. As an active member of his local and professional communities, Scott is a graduate of the Kansas City Bar Leadership Academy and has held various board positions with several local organizations including the Prairie Fund, Homestead Country Club, the Earl E. O'Connor American Inn of Court, and the Federal Court Advocates Section of the KCMBA. Scott was selected for inclusion in Missouri & Kansas Super Lawyers® in 2015-2018. Prior to joining the Firm, Scott served as a law clerk to the Honorable G. Thomas Van Bebber, U.S. District Court of the District of Kansas. An avid baseball fan, Scott closely follows his Carolina Tarheels and the Kansas City Royals. He enjoys spending time with his wife Tessie and their three kids.